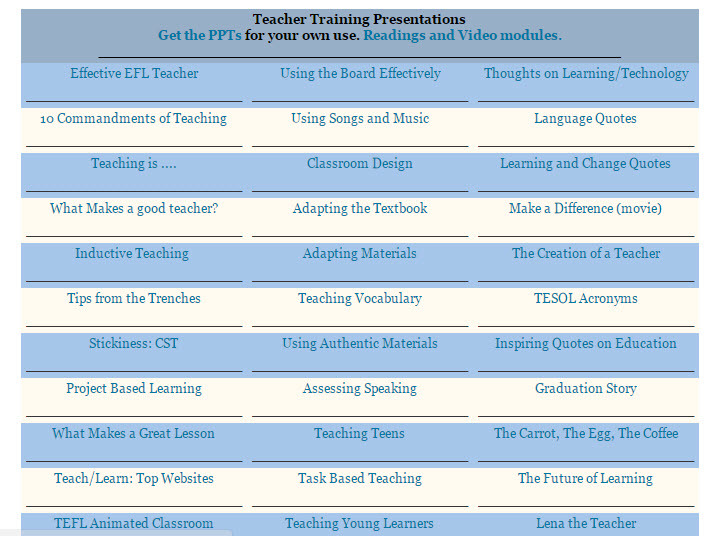 I have many presentations both on our Professional Development page, on our Practice Page and on our Teacher Training page — which provide many tips and pointers regarding teaching language. 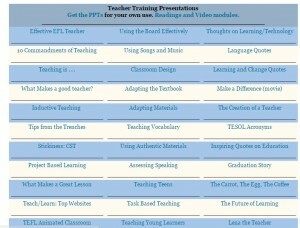 Here are the main ones in video that might benefit those newer teachers starting to teach this coming school year. Get them directly by clicking “Professional Development” in our Video Search Cloud. Next story Project Peace Marches On!